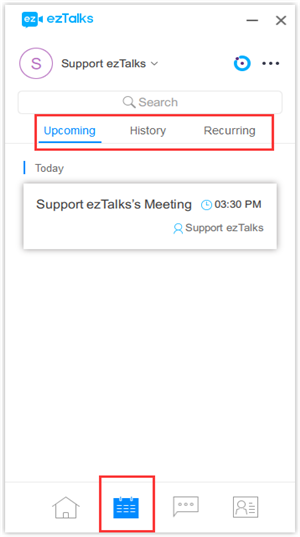 Learn how to use the ezTalks meetings software on your Windows or Mac computer. ezTalks provides video conferencing service with HD video, audio and screen sharing across Windows, Mac, iOS, Android and ezTalks Rooms. 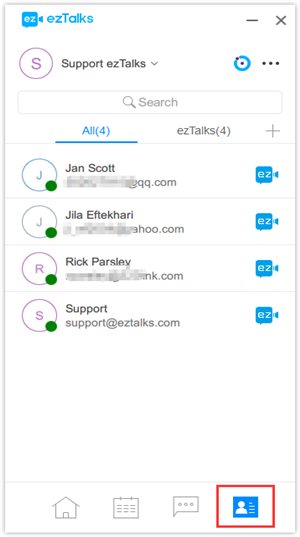 This article covers the steps of how to use ezTalks on desktop. Learn getting started on mobile devices. To sign in, go to https://uc.eztalks.com/ and sign in with your existing ezTalks account. You can also use your Google or Facebook account to sign in. If you do not have an account with ezTalks, you can select "Sign Up" to create a new ezTalks account. Once you have signed up or logged in, click on Host a Meeting, the desktop app will auto-download. Alternatively, you can click on the download center from: https://www.eztalks.com/download. 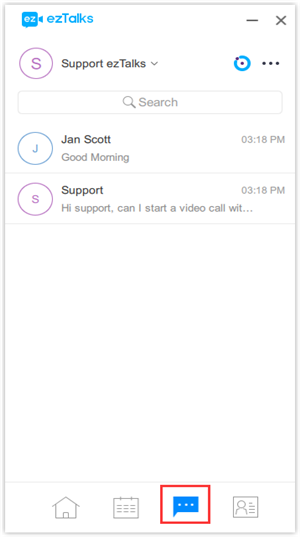 For iOS, visit the Apple App Store and search "ezTalks Video Meetings"
For Android, visit Google Play and search "ezTalks Video Meetings"
After you launch the ezTalks app, you have two options. You can select "Join a Meeting" or "Sign In. "If you just want to join an on-going meeting, click on "Join a meeting". If you would like to log in and start or schedule your own meeting, click on "Sign In". 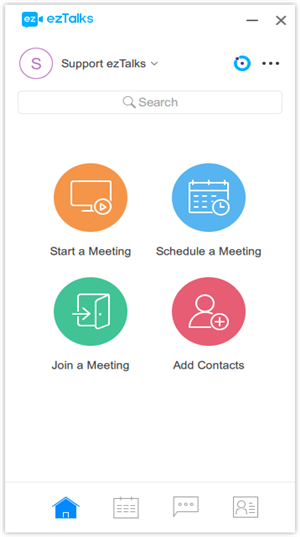 On the Upcoming list, you can start or edit your pre-scheduled meetings, invite attendees and check the meeting details. On the History list, you can check your history meeting details, and restart a history meeting. On the Recurring list, you can start a recurring meeting. Next Step: Learn the features thet ezTalks provides during a meeting.